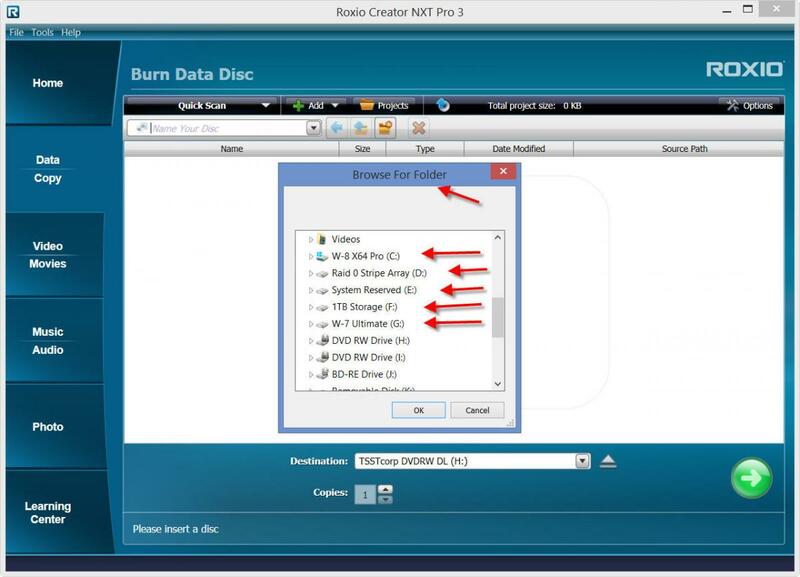 I'm using Roxio Creator NXT Pro 3. 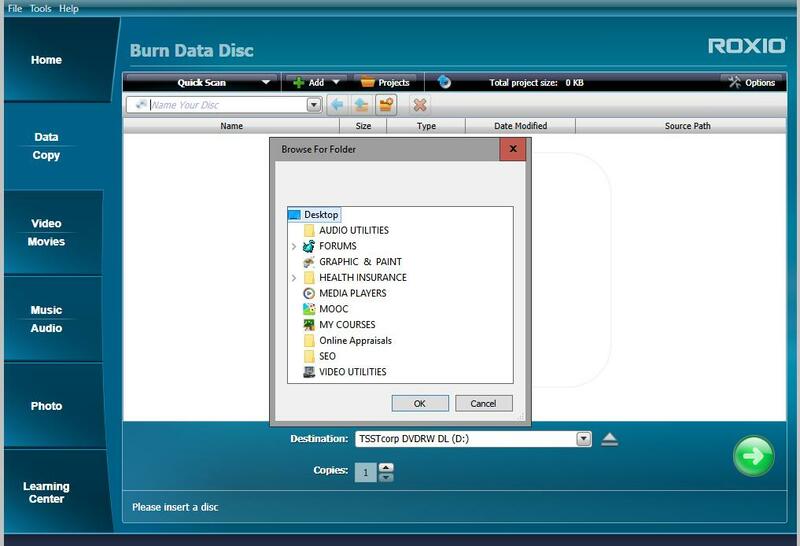 Trying to burn a DVD data disk, but when I try to choose a folder (without dragging ) the drop down box only shows me a limited number of folders from disk C and I need to choose folders from E. Can't seam to find any option to choose another disk. Click on the little > on the left of This Pc. The problem is that when I do as you instructed, I don't see the option "This PC" and I'm stuck again. I have no problem with choosing files. the Local Disk C and the "This PC"
If you are using W10 then it is called "File Explorer". If using W7 it's called "Windows Explorer". Good idea to place either one on your desktop as a shortcut. I'm using Win 10 and still I don't see any option that would let me see folders in a non system disk. 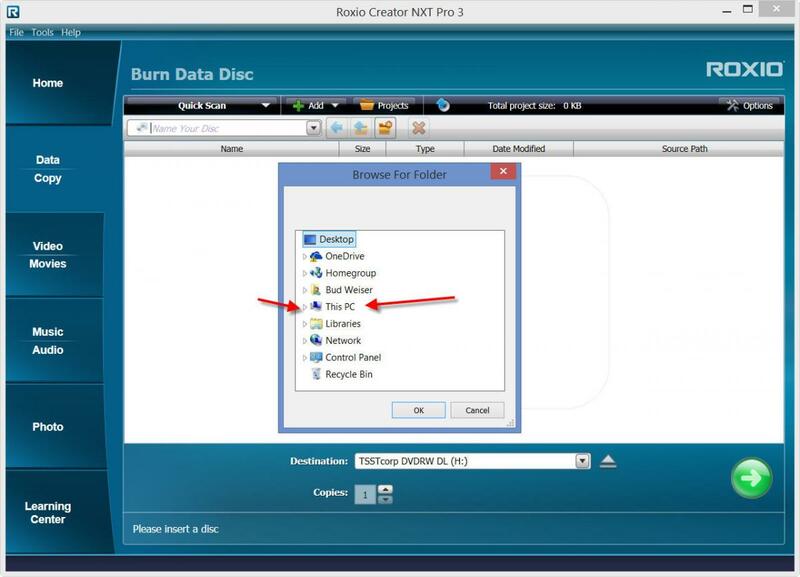 Is the account you used to install NXT Pro 3 with an Administrator account? And did you imply that you can drag folders into your project from a non-boot drive using Windows File Explorer? Yes to both your questions and thanks for you reply. 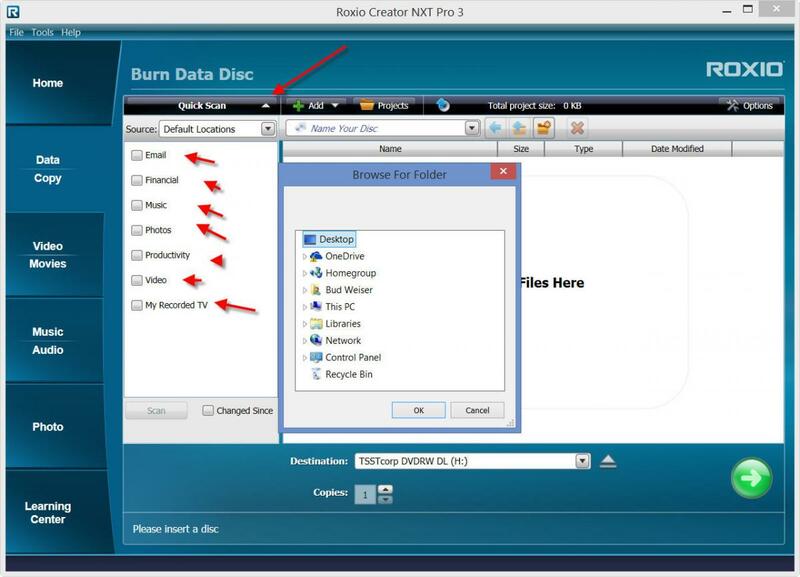 As a personal opinion, I often find it easier to navigate my folders using the Windows Explorer than what's built into the Roxio applications. I find it quicker and less "picky" about how I click on things to expand or collapse folders. My point is that at least you're not "dead in the water" for being able to do what you need, though finding out why you can't see anything beside your boot drive in NXT 3 is still an issue. Show us a screen capture of your Roxio in this view? I'm not being allowed to paste an image in my reply. You need to take a screen shot as a .jpg then attach that in a post. See the little triangle of 'dots' in the lower right corner of the Browse Box? Move your cusor there until you get the diagonal arrow and Drag it Down. You should see more choices then and be able to expand Computer to get to that drive! Thanks for you guidance. Unfortunelty the little triangle only makes the window larger, but the contents are the same. I'll just have to drag and drop. 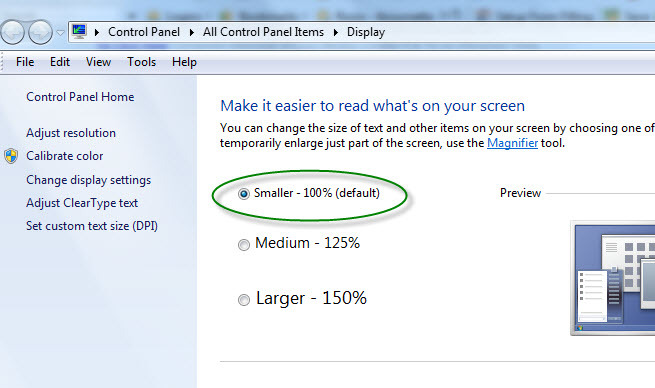 Check your DPI setting like Larry asked in post # 17! Is it set above 100%?? Click your 'Quick Scan' are any of those boxes checked? If so click 'Default' does that change your 'Browse For Folder' look? Uncheck the boxes if checked does that change your 'Browse For Folder' look? None of the boxes were checked and setting to 'default" does not change the contents when I choose folders. Reboot the PC and shut down all running programs including antivirus/firewall programs. 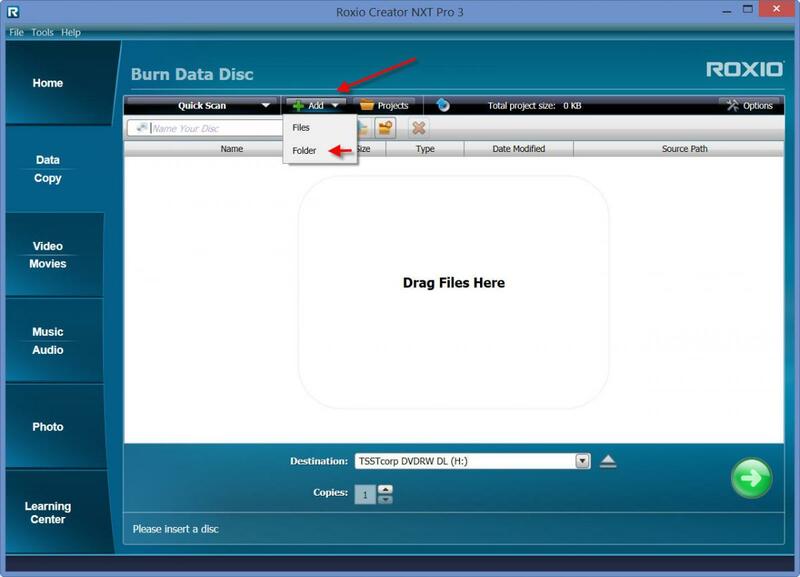 Put NXT3 Software Disc in a drive and run it when repair is offered run it. When done reboot the PC does that change anything? I would try the repair. Windows 10 Pro, build 10586 same problem, Browse for folder broken, settings are correct as per above. No choices other than one folder on my desktop. If you have the same problem as you say, then best you use the same suggestions given above.